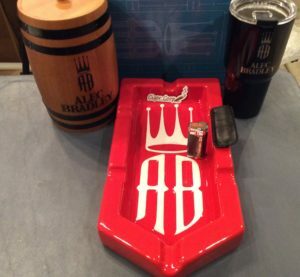 Contest: Enter our Alec Bradley Prize Pack Contest!!! Alec Bradley Cigar Company owner Alan Rubin announced he is acquiring a majority stake in Lars Tetens lines. As a part of the acquisition, Alec Bradley will handle distribution of the brands. We got the details here. Black Works Studio: The brand announced the return of the S&R for 2019. La Aurora Cigars: The company has released the La Aurora 1985 Maduro and is rolling out the new La Aurora 107 Zeppelin. Plasencia Cigars: The company is releasing an exclusive offering to Davidoff Flagship stores called Plasencia Cigars for Davidoff of Geneva Since 1911. Punch: Two new sizes are coming to the Punch Diablo line. Pure Aroma Cigars: The makers of the D’Crossier brand of cigars is bringing back the Lords of England brand. U.S. Senate: S.9 is a proposed piece of legislation that calls for an exemption from FDA Regulation for premium handmade cigars. This week no new co-sponsors were added. The total number of sponsors remains at 12. U.S. House of Representatives: H.R.1854 is the House Companion Bill to S.9 sponsors. This week Rep. Doug Lamborn [R-Colorado], Rep Mark Amodei [R-Nrvada], Rep Val Butler Jennings [D-Florida], Rep Debbie Lesko [R-Arizona], and Rep Scott Tipton [R-Colorado] signed on as a co-sponsors. The total number of sponsors is now at 42. We also reported the HR 1854 will not exempt flavored cigars. Delaware: The legislature has approved a bill that would raise the tobacco purchase age to 21. The bill has now been sent to Governor John Carney, who has indicated he will sign the bill into law. Illinois: The state became the tenth one to raise the tobacco purchase age to 21 as Governor J.B. Pritzker signed a bill passed by the legislature into law. Washington: The state became the ninth one to raise the tobacco purchase age to 21 as Governor Jay Inslee signed a bill passed by the legislature into law. Episode 91 was our Two Year Anniversary Show and we were honored to have Kyle Gellis, Warped Cigars as our special guest. We debuted the Alec Bradley Live True segment where we reflected on the past two years of Prime Time. Finally, in our Deliberation Segment we looked at some questionable cigar media practices. Apr 13 2011: We reviewed the Punch Rare Corojo 10th Anniversary. Apr 13 2012: We reviewed the El Tiante Habano Oscuro. 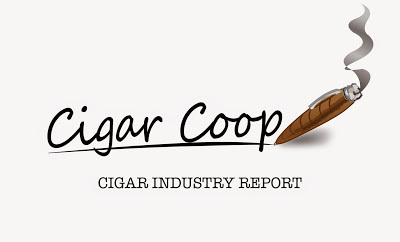 Apr 13 2012: We posted a press release on v3.0 of the Cigar Boss Application. Apr 13, 2013: We reported on La Palina’s distribution agreement for Europe. Apr 13, 2015: We reported on the shop exclusive Tatuaje Drinking Age. Apr 13, 2017: We officially launched Prime Time Episode 1.